Encounter Youth’s Party Safe Education™ seminars help South Australian young people and their parents to be prepared for key events in the school calendar. School formals, associated after-parties and end-of-school celebrations like Schoolies Festival™ are often viewed as a ‘rite of passage’ into adulthood. Within Australian culture, these celebrations are often associated with drinking and this association can increase the risks for the young people who are involved. Why Choose These Seminars? • What Does The Program Cover? Looking for our full alcohol & other drug education program for Years 9-12? The Encounter Youth Education™ page has just what you need! Party Safe Education™ provides interactive, research-based, up-to-date seminars that discuss key events on the end-of-school calendar, as well as alcohol and other drugs. 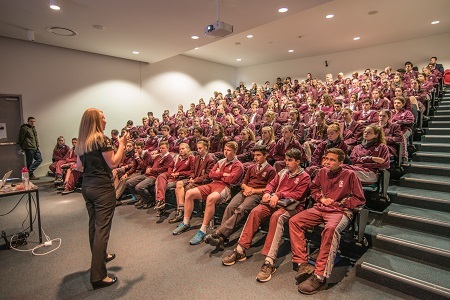 Our program equips young people to look after themselves and their mates as they celebrate and aims to provide schools with an evidence-based program that support and complements their existing education. Staying safe at a party is, by nature, a practical skill. This is why our Party Safe Education™ presenters not only provide information but also the practicalities of how to use that information to stay safe. We incorporate real stories and experiences from the young people we engage with in our community programs, including Schoolies Festival™ and our Hindley Street program in the Adelaide CBD. Along with the topic material, students will be provided with links to high-quality information and support providers who can assist them in seeking further help if required. ENQUIRE NOW OR BOOK A SEMINAR! The complete end-of-year celebration guide! Whether students are planning on celebrating at Schoolies Festival™ or out of town, they’ll be equipped with up-to-date, helpful information necessary for partying safely and responsibly. As the people who oversee Australia’s safest school leavers’ celebration, we’re confident they’ll be well prepared. For parents of school leavers, the end of the year can bring anxiety and fear. 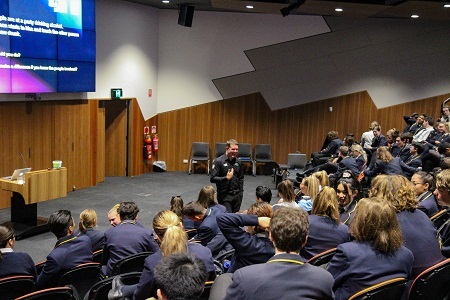 This seminar helps to inform parents about the strategies we have in place to make the Schoolies Operation as positive and safe as possible. Teachers can be tempted to turn a blind eye to formal after-parties but there is often concern. This seminar will help equip young people for the risks they may encounter and will encourage them to make choices to party safe. Concerned about formals, after parties or house parties? Working with parents, grandparents and guardians, Encounter Youth will facilitate discussion on key considerations before students jump into some of the biggest celebrations of the year. Interested in providing Party Safe Education™ for your school community? Are you a regional school in South Australia? We’ve got some great news for you. 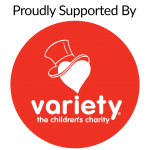 From 2018 to 2020, Encounter Youth is partnering with Variety – the Children’s Charity to offer our alcohol & other drug education program to regional schools in SA without the usual travel fee. This will make alcohol & other drug education more accessible for regional school communities in SA. Find out more here. The presenter was very professional and spoke very clearly. They explained information in detail and shared examples that students could relate to. They also made students feel comfortable to engage in the activities and discussions." Great interaction with students for engagement. Loved the fact that the seminar wasn’t telling the audience ‘what not to do’." Brilliant presentation. Highly engaging and well spoken presenter. I could see the engagement in our students - in particular those students who may be most at risk.... I always learn something new myself! Thank you!" The seminar was good because it was leading people in the right direction while not forcing them to do the right thing. I think the seminar was well-planned and really helped me grasp what really happens at parties and how to deal with the situations the best." If I ever did find myself in a 'dangerous' situation, I feel that I’d have more knowledge on how to approach it." I didn't realise how long alcohol stayed in the system. As a P-plate driver, I now will wait longer before driving after a party." If you’d like to know more, don’t hesitate to drop us a line via the enquiry form below.